Need help to grow but don’t know where to start? Website jaded and hard to update? 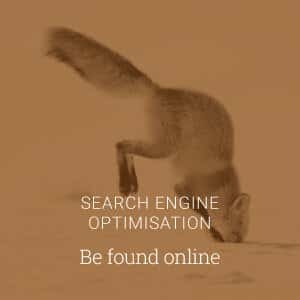 Want to be found online? If it’s time to improve your aim, Christchurch web design and digital marketing Alexanders will multiply your results. Intelligent web design that generates consistent results. Savvy digital tactics including SEO to reach your sales targets sooner. 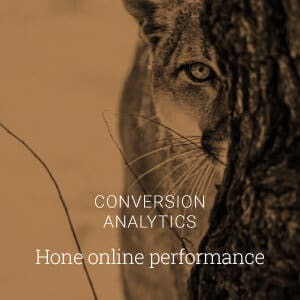 Expertise to tune your digital/online/web marketing and advertising. More than 20 years ago, Rachel Alexander founded her Christchurch-based marketing company. 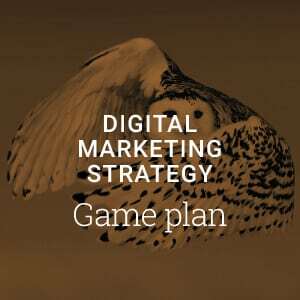 Since then, the marketing agency has evolved from Alexanders Advertising to Alexanders Digital Marketing. This shift in focus was a direct response to our rapidly changing marketing landscape. 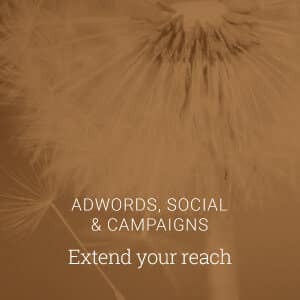 As a full-service marketing agency, our core digital marketing services include mobile-first web design, search engine optimization (SEO), Google Ads campaign management, and digital strategy. We also offer branding services including logos and graphic design. Know for certain which half of your ad budget works! With digital accountability and a team focussed on results – not awards – your methodology gets tuned and polished. As a marketing company, we’re big enough to take on everything you can throw at us but not so big that you’ll get lost in the system. You’ll see us before, during and after every job, not just at the Christmas party. Turn your website into a 24/7 salesperson who delivers leads while you sleep, so you can get on with doing business, not hunting for it. Alexanders has a transparent project management programme. You may be blown away by our work but you’ll never be blown away by an unexpected account landing on your desk. We’re big enough to take on everything you can throw at us but not so big that you’ll get lost in the system. You get to see us before, during and after every job, not just at the Christmas party. When should I hire a marketing agency? You’re so busy that you don’t have time to do marketing well, or explore a marketing opportunity. You want to bring in a competent marketing agency to get it done properly, with some recommendations and potentially some help to execute the recommendations on a monthly basis. Your company is well-established and you already spend a sizeable sum on marketing, but you’re not convinced the money is well spent. You want advice from your marketing agency on how to re-prioritise your spend and bring on a fresh approach. You have engaged a marketing junior with a good head to take care of communications, but they lack the experience or credibility to truly steer the business forward. With a little independent guidance by the marketing agency, your junior can be more effective, executing a well-thought-out plan with a bit of outside help where required, increasing your ROI on marketing spend. You’ve just bought a business which has sound fundamentals, but needs some contemporary marketing. Probably the web site could perform better or perhaps the branding is tired. It’s time to energise and rejuvenate the proposition with a fresh marketing campaign, brand and or web site upgrade. You are a proven entrepreneur, with capital ready to deploy a new strategy. You want professional marketing guidance to steer the project to the best start. Your new web design has a significant influence on seo and your ranking on Google. If you have not optimized your website before, we highly recommend doing On-site optimisation (the first part of seo) at the time you build your site, to get a return on investment. If you have optimized your website before, it’s important to carry over your seo details and ensure previous url’s are forwarded to the new url’s. However, it is likely that since you first optimized your website, the algorithm will have changed and that further work will be required to adjust your web design for modern seo methods. What are the major web trends at the moment? Mobile-first design; design for high speed so content downloads quickly on mobile devices (about 52% of all web traffic is now via a mobile device); short, succinct content in paragraphs and a headline that communicates your proposition powerfully; using a transparent white or black filter over the top of images to make text readable or tone down bright colours where they clash with your logo colours. It will brings leads, without you having to knock on any doors by connecting people looking for your product or service, with your website. It will bring your brand to the attention of people who have not heard of you but are in the market for your products or services. What’s unique about your approach to web design? We’ve been named “the thinking man’s agency” by Tait & Ravensdown. We take a considered approach to web design and development, drawing from our experience analyzing data and results, so our designs are planned to generate leads. 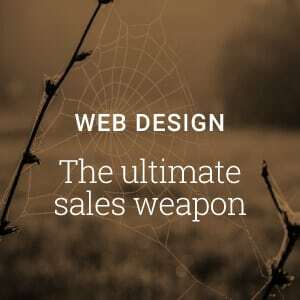 Our graphic design team can create a stylish site if you just want to profile your brand, but our reputation has been built on creating good-looking, hard-working web designs that generate a predictable stream of leads. Why hire a marketing agency or marketing consultant? Increase marketing momentum: with a marketing consultant, you get a focussed guide to develop a marketing plan and ensure your activities come in on time and on budget. 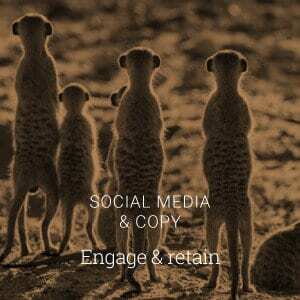 Improve return on your marketing spend. Get guidance on how you can redirect your existing spend to multiply results. Save yourself hours of reading. Let the Alexanders’ team sift through articles and email you major digital news updates. Plus you can (nearly) anonymously check out our work! Max one per month!